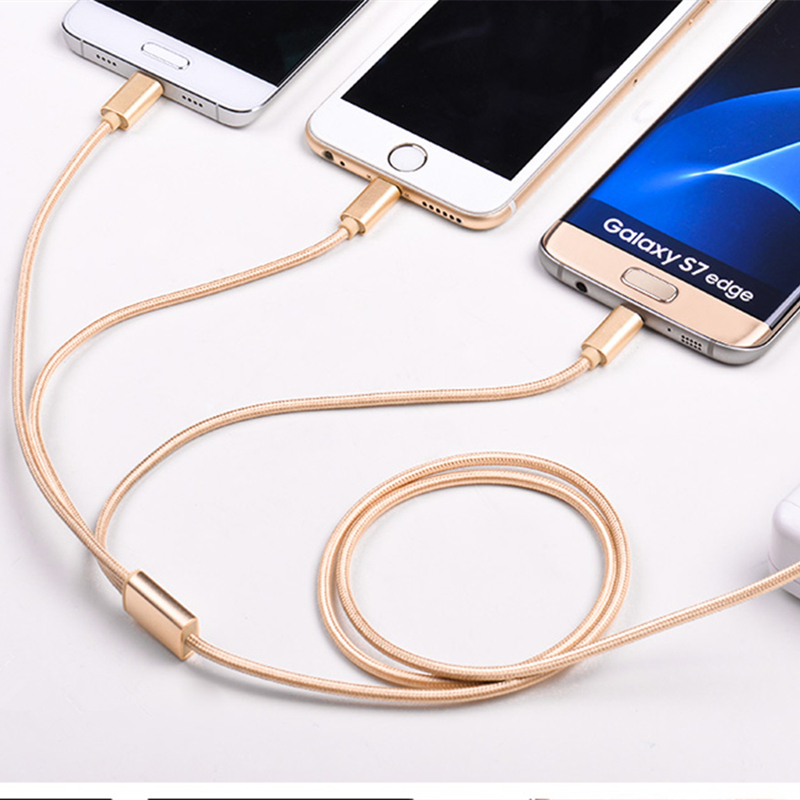 This is a durable USB cable which contains micro ,iPhone,and type-c three kinds ports , it is a 3 in 1 good quality Micro USB Cable , it has Stylish High Quality Nylon Fiber Sturdy and Tangle-Free design , Samsung micro USB cable Fully compatible with all micro usb port smart devices. Works with tablets laptops , smart phones and more . Data sync & charging synchronization . Enjoy charge and copy file , movie , music when connecting your phone to computer . Help you copy your movie , music , file in short time . Looking for ideal Good Quality Micro Usb Cable Manufacturer & supplier ? We have a wide selection at great prices to help you get creative. All the Samsung Micro Usb Cable are quality guaranteed. 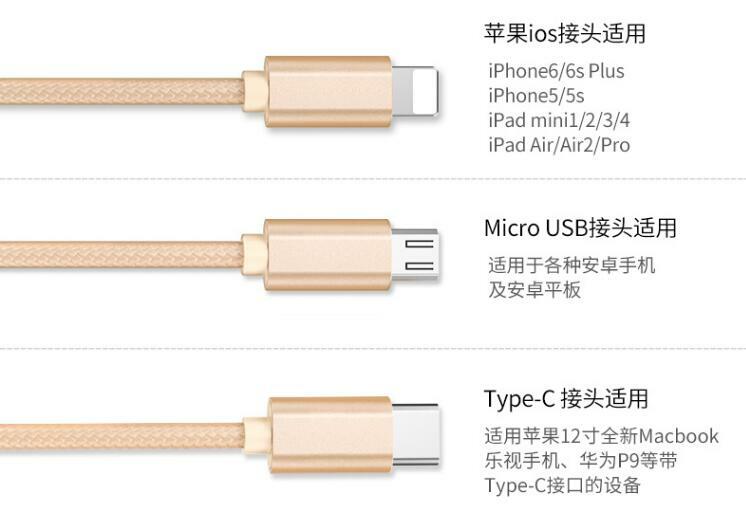 We are China Origin Factory of Durable Usb Cable. If you have any question, please feel free to contact us.